Versatio is Latin, it means revolution and the Neodrives drive system makes sure of that. 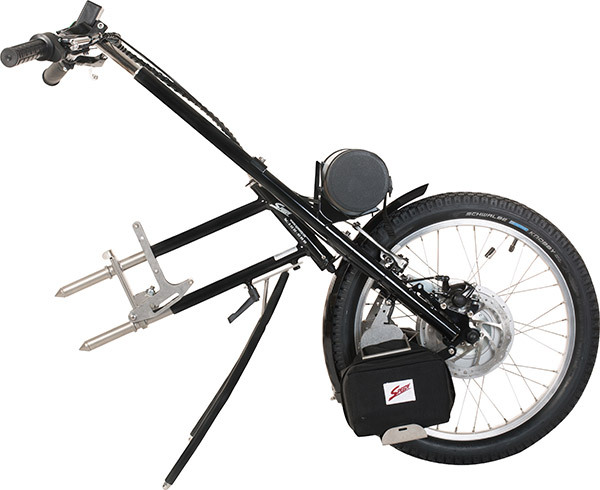 Thanks to intelligent engine support, the Speedy-Versatio combines the strengths of a Handbike that features a visually appealing style with independence. It is suitable for everyday use without having to sacrifice its sporty character. 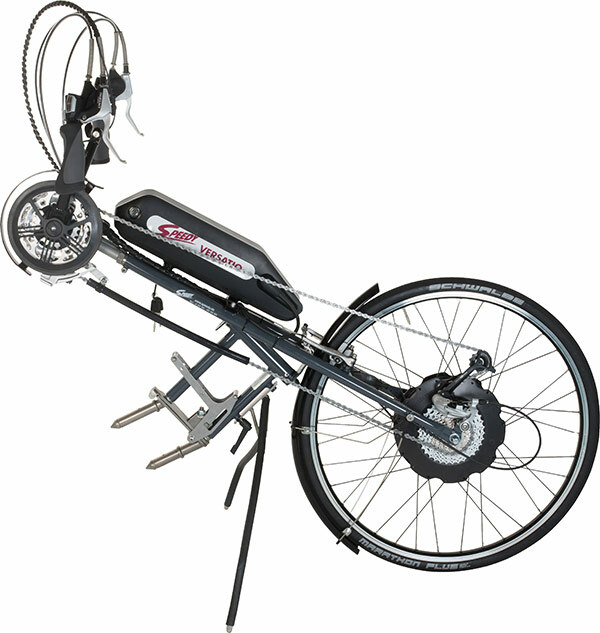 Uphill, downhill or on uneven surfaces: Adjust the wheelbase quickly, without needing to remove the wheels thus increasing the traction of the wheels - ideal for handbike riding. 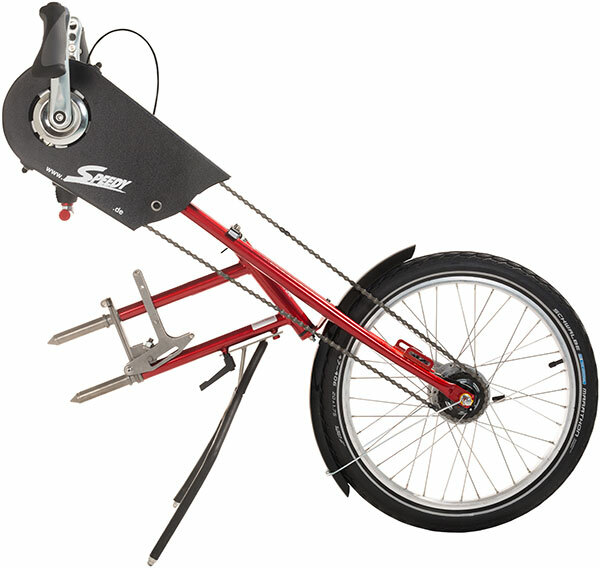 The Speedy Vamos offers a high degree of flexibility and comfort thanks to its easy to use wheelbase adjustment. The speedy Duo 2 "thinks and feels with you". 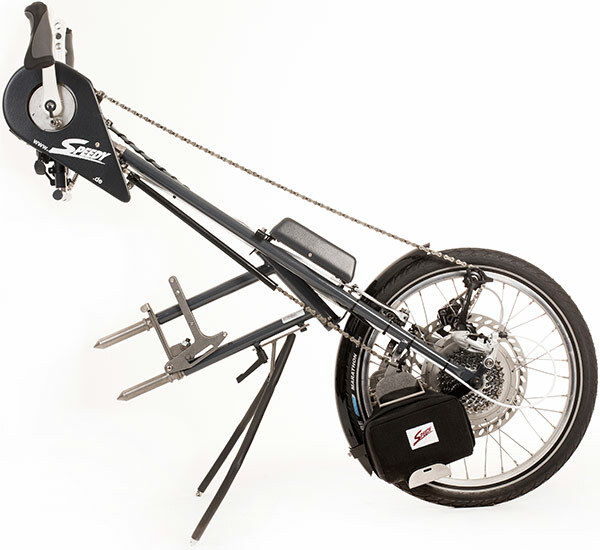 Where there are mobility or route profile barriers for the pure handbiking, the built-in electric motor helps. 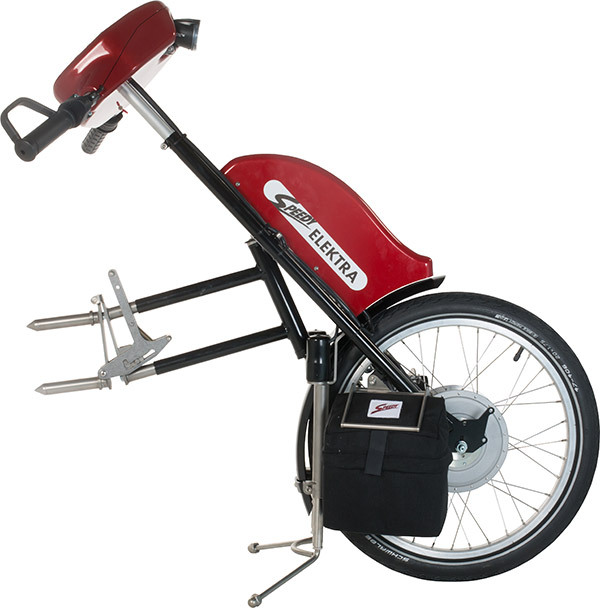 The Speedy-Junior multiplies the rider's action radius. This additional scope puts children in a position to join in more with their peers at school and in their leisure time. 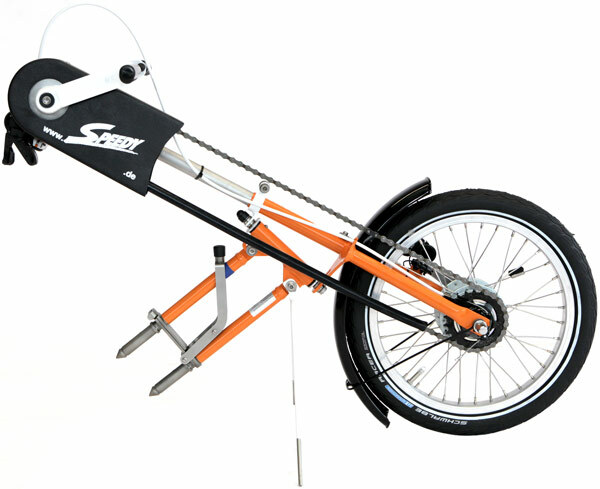 Of course it is important for every child to learn how to ride a bike, and children in wheelchairs can enjoy the same experience with the Speedy Micro. For children, independently of their special needs, a bike is more than just a means of transport. Cycling means togetherness. It allows children to participate in activities with their peers. This is good for children's development and inclusion in society. This is why health insurance companies cover the acquisition costs in almost all cases. The Speedy Elight combines a modern design with excellent ride comfort. 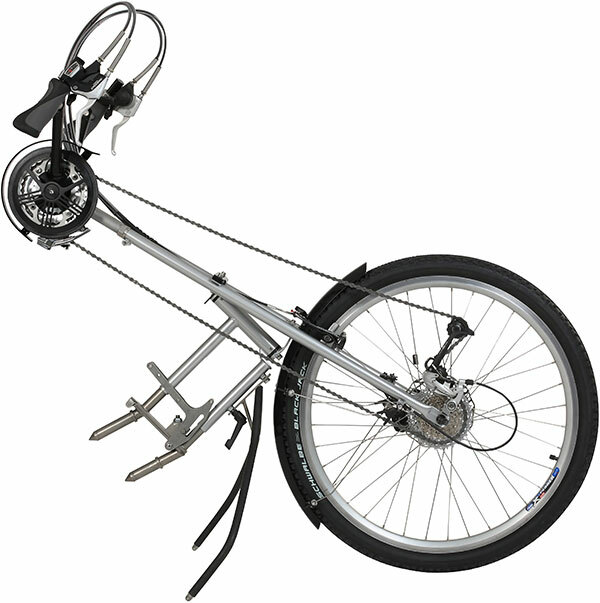 Extremely robust in design, it is extremely agile and, like all Speedy towing devices, has a significantly improved rear tilt stability when coupled with a wheelchair. The compact dimensions make Elight the ideal towing device - on short trips, on holiday, at the spa or for a quick trip to the baker's shop around the corner. The Speedy Pedalofit 2 is a means of transport for your small everyday tasks on the one hand, and on the other the ideal training device for wheelchair users with leg function. The movements have a stimulating effect on the cardiovascular system and thus reduce fluid retention in the tissues; "swelling of the legs". 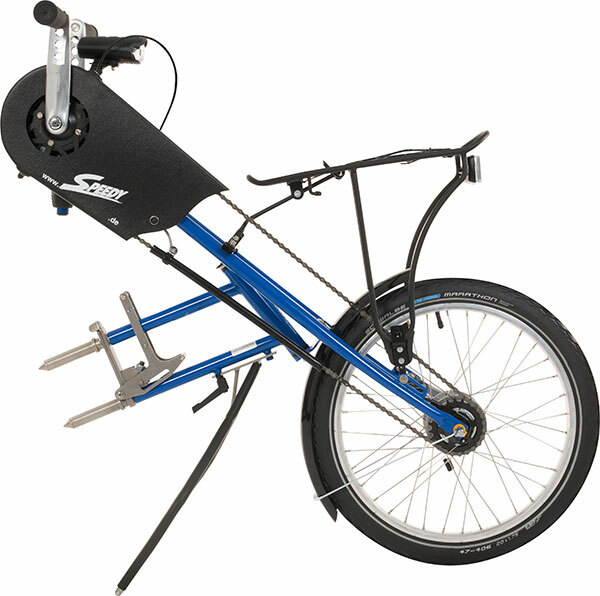 The benefits of speedy tandems are: covering large distances quickly, having fun together, particularly enjoying nature without needing to leave your wheelchair. 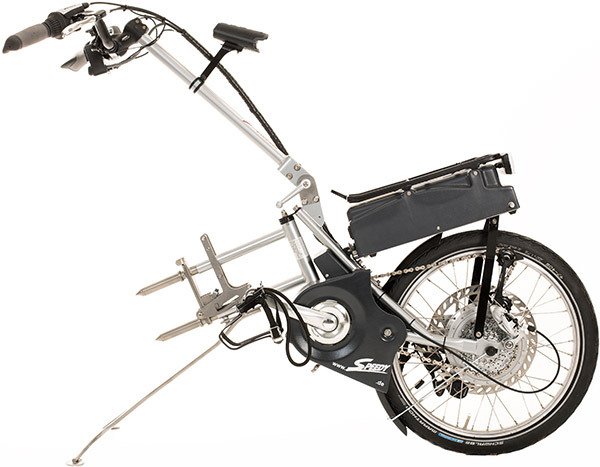 It is a powerful e-bike with inertia overrun braked idler gear. 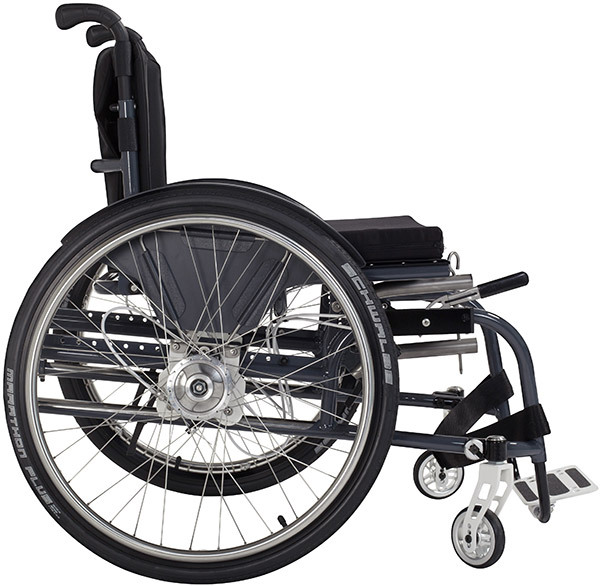 Using a wheelchair can be pretty difficult - if the terrain makes it practically impossible for the small front wheels to roll. 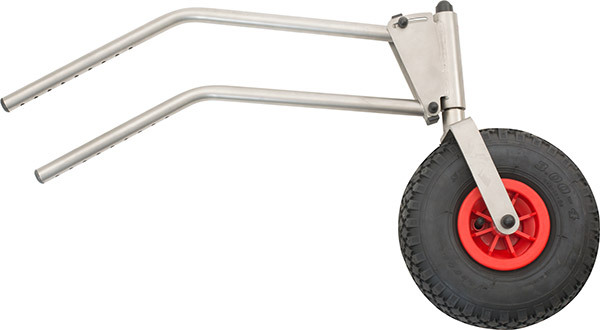 The Speedy Buggy provides noticeable relief when rolling and pushing.